The Textured Button Band is a great project for our Crochet 101 graduates. 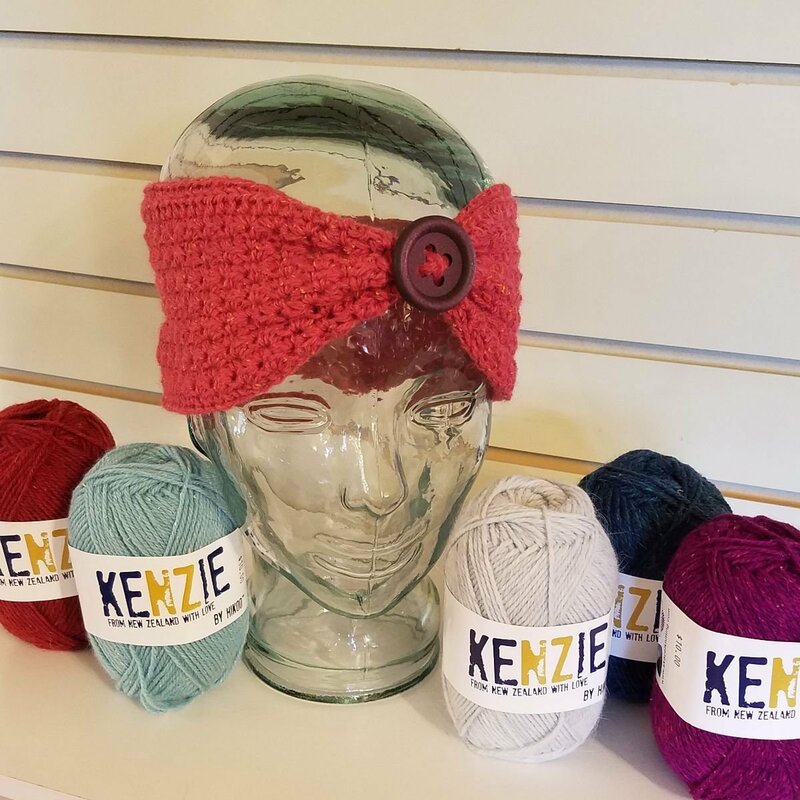 This headband is worked in the round so there's no seaming. This is also a fun project for more advanced crocheters and a great gift idea. Best of all, it only uses one skein of yarn! Materials: 1 skein Kenzi by Hikoo, G or H crochet hook, decorative button, and darning needle. Pattern will be provided in class. Skill Level: Beginner – must be comfortable with basic crochet stitches.